If you are in need of a criminal defense attorney, you want the best that you can get. Here are 5 questions you should ask any criminal defense attorney that you are considering hiring. If you’re facing criminal charges, it’s important to get a good criminal defense attorney. Hiring a good lawyer can make a significant difference to the outcome of your case. But with so many lawyers out there, it’s difficult to find out which lawyer is right for you. That’s why you need to take advantage of the free consultations to ask questions. But it’s not easy coming up with questions to ask a lawyer. 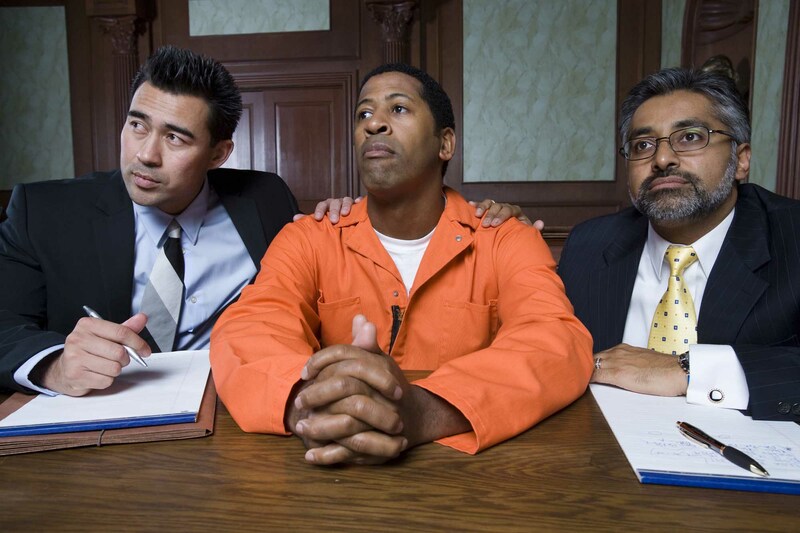 That’s why we’ve put together the 5 questions to ask a criminal defense lawyer. Let’s take a look! 1. Who Will Handle My Case? 2. Have You Worked on Similar Cases? 3. What’s Your Evaluation of My Case? 5. What Are Your Legal Fees? If you have a consultation with one of the major law firms, it’s not always clear who will handle your case. Sometimes, the first meeting takes place with the senior partner, while most of the proceedings are handled by a junior lawyer. It’s important to find out in advance who will be representing you. This way you can decide whether you judge this attorney to have the appropriate experience and knowledge for your case. If you’re not satisfied with the answer to this question, you should look somewhere to else when it comes to hiring a lawyer to fight your case. When obtaining a criminal defense attorney, it’s important to find out the experience of the attorney. Most importantly, you want to know whether they have worked on similar cases with similar criminal charges to your own. It’s important to get an experienced lawyer with professional knowledge of the criminal charges you face. You should find a lawyer that has worked on a similar case. You can also find out their success rate when the case goes to trial. You can request a preliminary evaluation of your criminal case. Do you stand a chance of a positive outcome? Will my case end in court? Should I offer a plea bargain? It’s important to decide whether the lawyer’s assessment matches your own. Plus, this also allows you to compare this answer, with the legal advice of other lawyers you have consulted. There are sometimes things you can do to improve your legal situation and increase the chance of a positive legal outcome. This might include making records or documents available to your lawyer. But it could also include taking action yourself to demonstrate your commitment to making up for your criminal act. This could be anything relevant to your criminal case, from attending counseling sessions or drug rehabilitation sessions. When it comes to hiring an attorney, you get what you pay for. If you are determined to obtain an experienced and effective lawyer, you have to be willing to pay the legal fees. It’s important to ask how much the legal fees are. It is especially important to find out if there are any extra costs or hidden fees. Ask whether you can get a structured payment plan. This means you can pay the legal fees over a period of time. Hiring a lawyer is never easy. By asking these 5 questions, you can find the information you need to make the right choice for you. With the answers to these questions, you can be confident that the lawyer you hired to working hard for you. Did you enjoy reading this blog post, check out our other posts on our website.